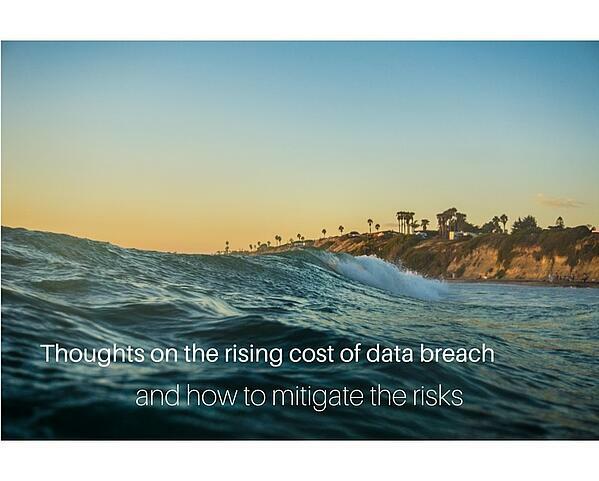 According to the latest study, the total organizational cost of a data breach has now reached a grand average of 4 Million USD globally. Last year, in the 2015 report, that value was $3.8M. The year prior to that, it was at $3.5M. That's a 14% increase in just 2 years. The cost understandably varies from country to country. In the US, a data breach can cost over $7M. While not all companies can experience a data breach and not everyone's going to lose that much if they do (the cost is proportional to the number of records lost), it should be worth noting that, if you do suffer from a breach, it's certainly not going to be cheap. As it turns out, an overwhelming 50% of all data breaches are caused by malicious or criminal attacks. If that's the case, you should be worried if you get hit by a data breach. That means your data will likely have fallen into the hands of people who only have bad intentions. There's a big difference between data that simply gets lost and data that's deliberately stolen. For example, if you misplaced a laptop containing hundreds of thousands of customer personal information and someone accidentally found it, it's possible that the person will only be interested in the laptop. But if the laptop was deliberately stolen for the purpose of acquiring the stored data, there's almost a hundred percent chance the crooks are going to use the data for fraudulent activities, identitiy theft, blackmail, or other sinister acts that can harm your company or (in cases involving personally identifiable information) the people whose identities have been compromised. The threat of a malicious attack is one important thing to consider when you do risk analysis for your business. The threat exists and its likelihood of occurrence is high. Still, in spite of this expansive list of both direct and indirect expenses, it turns out that there are still other costs that the report failed to include. These unaccounted costs were recently featured in a paper put together by Deloitte. The paper, entitled Beneath the surface of a cyberattack - A deeper look at business impacts**, includes several intangible and long term costs. It also highlights data breach incidents that don't necessarily include customer or employee records (one of the main attributes of the Ponemon report), like those involving intellectual property. Increased cost to raise debt. These papers give us a good view of the current threat landscape, which in turn helps us develop a more effective information risk management program. Knowing which threats have a high likelihood of impacting your business will enable you to allocate resources for risk mitigation where they're most needed. For example, knowing that criminal attacks are the leading causes of data breaches, it would be prudent to put more emphases in information security countermeasures that address cyber attacks like APTs (advanced persistent threats), man-in-the-middle, malware, DDoS, brute force, social engineering, phishing, and the like. You can check out the complete list in the report. In the meantime, allow us to explain how these three factors are going to help you reduce cost. Presence of an incident response team - The impact of a breach can be reduced if you can immediately act as soon as a security incident is discovered. First of all, you might still be able to contain the problem; identify and plug vulnerabilities that were already or may still be exploited; and scan your system for any remaining malware. Secondly, you can quickly start data recovery and business continuity efforts, which can minimize impact to other parts of your business. Extensive use of encryption - Strong encryption can render a data breach pretty much harmless. Even if cyber criminals are able to steal your data, they won't be able to use it. Encryption is so effective in this regard that several laws and regulations offer it as safe harbor, especially in breach notification requirements. Employee training - One key ingredient in most cyber attacks is social engineering. Because social engineering is targeted at your emplyees (often considered the weakest link in information security), the best way to counter it is to make sure your employees are well informed and trained. Simple but nevertheless critical practices like never sharing passwords, being alert when receiving email attachments, being quick at reporting suspicious activity and never installing rogue software, can substantially reduce the chance of a breach. **Deloitte paper "Beneath the surface of a cyberattack - A deeper look at business impacts"